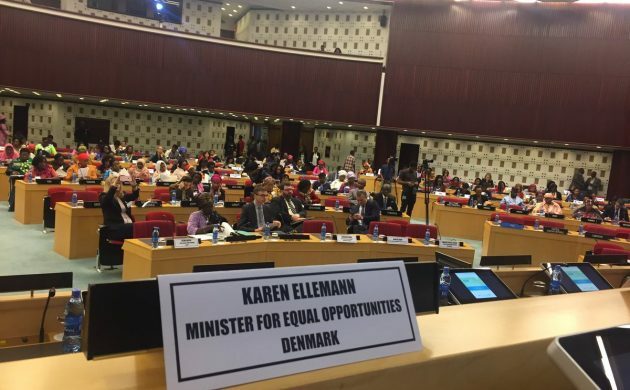 The minister for equality and Nordic co-operation, Karen Ellemann, is currently in Addis Ababa, Ethiopia in connection with the African Union summit. Ellemann will meet with a number of African ministers to discuss women’s health issues ahead of the 61st Commission on the Status of Women in New York in March. Ellemann has a number of concerns, particularly in light of the new US stance on women’s health issues and the upcoming commission in New York not mentioning women’s reproductive health or rights at all. “Abortion opposition and the lack of focus on women’s health and rights is worrying,” said Ellemann. Ellemann said she will appeal to the African equality ministers to focus on equality and women’s health and to stand together to get the UN and the global community to respect women’s right to decide when and with whom they want children. The Danish government has been a representative at the African Union summits for the past six years, and women’s rights is a core priority of the government’s new development strategy. In related news, the development minister, Ulla Tørnæs, is also on the African continent, visiting Niger concerning migration issues. The visit looks to strengthen Denmark and the EU’s co-operation on the issue of human trafficking, border control and migrants from west Africa and its underlying causes, such as poverty and instability in the region. “It is essential to the government that we tackle the migration flow to Europe, and that’s why migration is one of the four priorities in the new development and humanitarian strategy,” said Tørnæs. Denmark commits 60.8 million kroner in aid to Niger on an annual basis, and a new aid program for Niger for 2017-2022 is currently in the works.